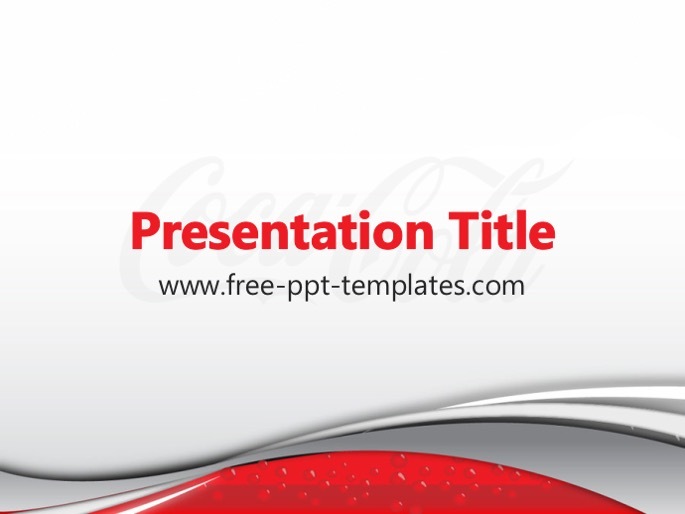 TEMPLATE DESCRIPTION: Coca-Cola PowerPoint Template is a white template with red details and Coca-Cola logo which you can use to make an elegant and professional PPT presentation. This FREE PowerPoint template is perfect for presentations about one of the greatest companies of our time - The Coca-Cola Company and it's products, marketing strategy, managment, factories etc. Find more similar templates here: Brands and Companies.